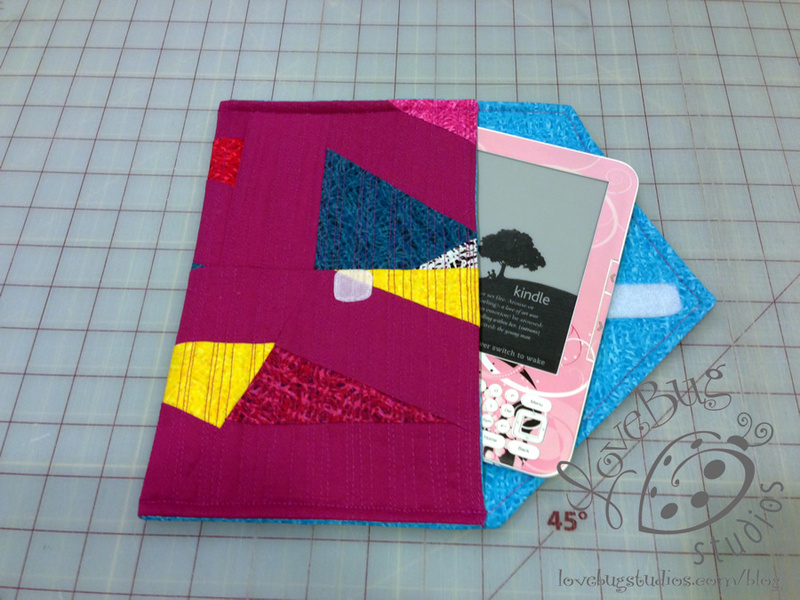 Today we're back with Ebony Love from Love Bug Studios, who is using Extreme Colors to make an e-reader case. Do you know Ebony? 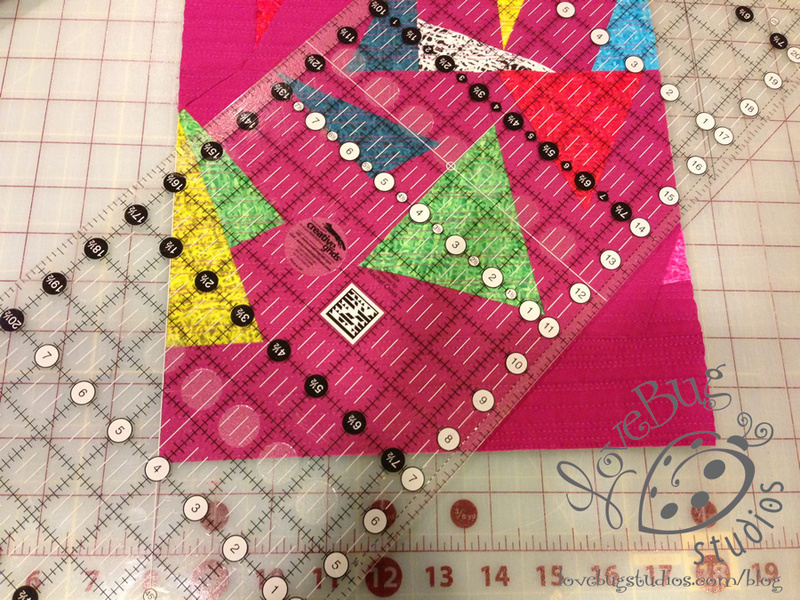 She's a fantastically talented designer and machine quilter and you'll find plenty of eye candy on her site. Hi, I'm Ebony Love, and I'm a quilt designer, author, and lover of Benartex fabric. I have been designing and making quilts for Benartex for just over a year now, and it's thrilling to work with fabric before it's released to the general public. The only drawback to that is not being able to share my projects with you until the fabric line is released! One of my favorite fabrics this year has been the Extreme Colors line by Paula Nadelstern, and it's no wonder. 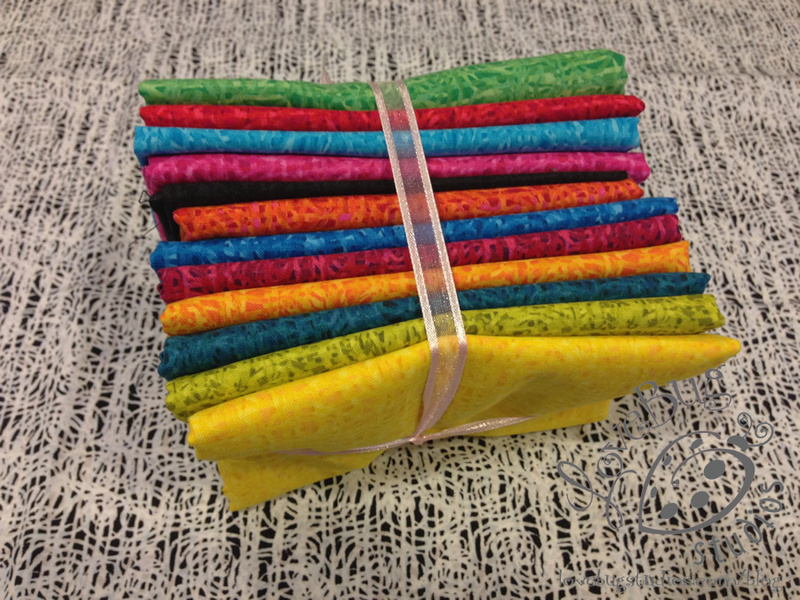 This fabric is bright and cheerful, and comes in 13 different color ways. There's enough pattern in the fabric that it provides interest and texture, but not so overwhelming that you can't coordinate it with other fabrics. I was so excited when the quilt I made using this fabric made the cover of Quilt Magazine last month, and I just can't help making more projects with it. One of my friends pointed out to me the other day that I'm always making things for other people, but I rarely make anything for myself. So I decided that before my entire stash of Extreme Colors disappears, I would make myself something from the line. A sleeve for my Kindle seemed the perfect thing, since I take it with me everywhere. This sleeve fits my Kindle whether it's inside or outside the leather case; if you want to make a similar case for your e-book reader, you might need to adjust the dimensions slightly. My pouch finishes at 6-1/2" h x 10" w.
The exterior of this pouch was made using die-cut triangles and 2-1/2" strips, which I pieced using an improvisational technique. If you don't have a die cutter, you could rotary cut these pieces instead. I'm aiming for a piece that's approximately 11" x 18". You can chain piece triangles to strips, which I have done here, but if you want to be able to cut the triangles apart at an angle, you need to leave plenty of space between your shapes. I did not do this (which is perfectly fine too) but it meant having more odd angles to work with and pieces to fill in. 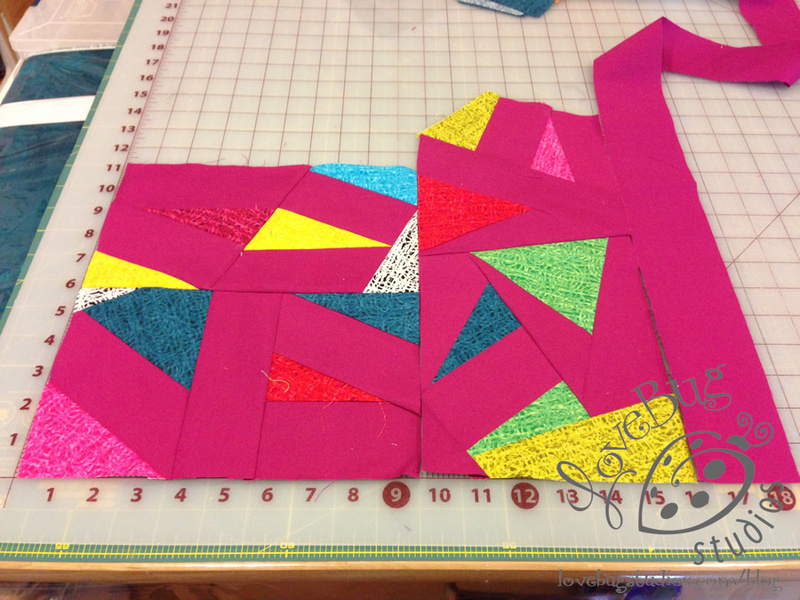 As you get more pieces stitched and cut, you can start piecing them together to form interesting shapes. 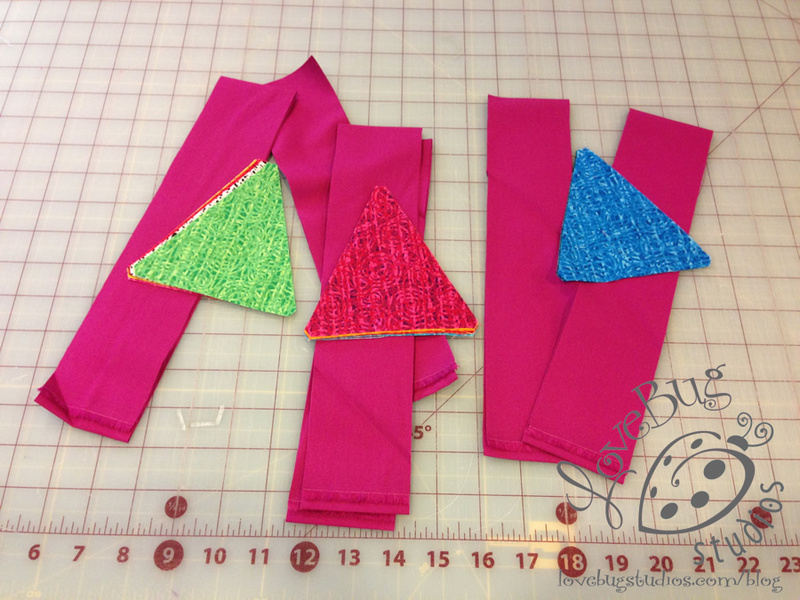 Don't be afraid to hack off pieces of the triangles and strips in order to get the shapes you need to piece together. At some point, you need to start squaring off the shapes so you can get the size fabric you need for the exterior of the pouch. 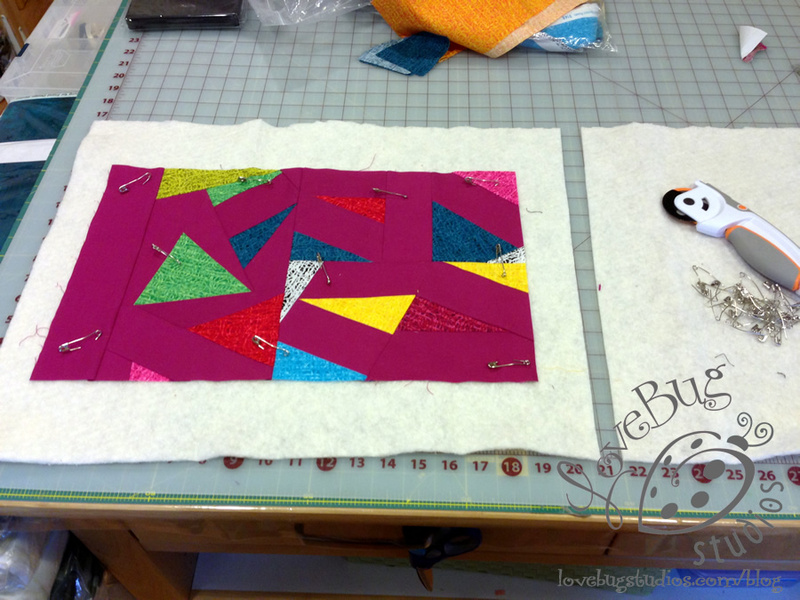 I selected these two large pieces plus an extra strip to stitch together into my final base fabric. Once you have the size fabric you need, square it up, and baste it to a layer of batting only. Secure the pouch exterior to the batting using whatever quilting you like. I just used a straight stitch across the width of my pouch, and aligned previously stitched lines with various places on my presser foot to get different spacing between the lines. The thread I'm using is a 50 wt cotton thread by Aurifil that matches my solid fabric. 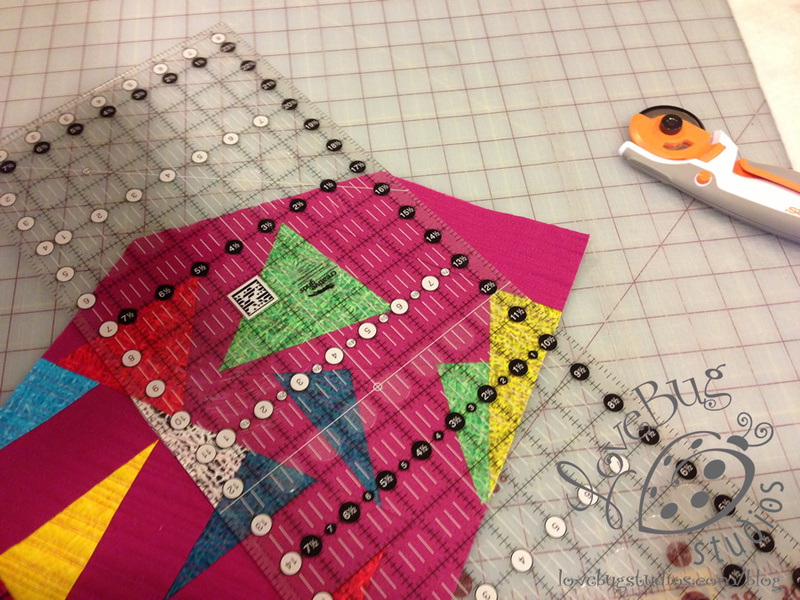 Once you have finished the quilting, square up your exterior fabric to 10-1/2" x 17-1/2". Depending on how densely you quilt your piece, you may lose a little bit of length and width anyway, so squaring it up is a good idea! 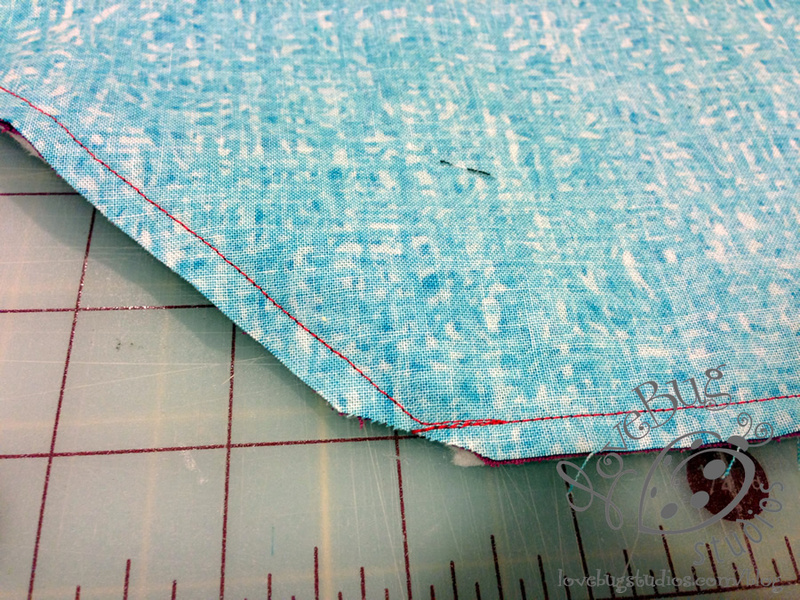 You also should cut a lining piece to the same measurement. 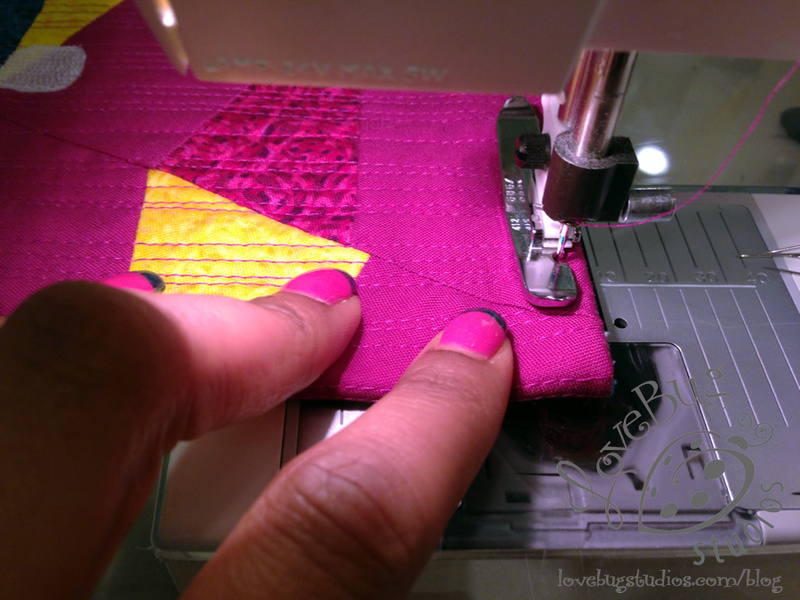 Now here's the scary part of the pouch making: cutting the angles for the flap closure. 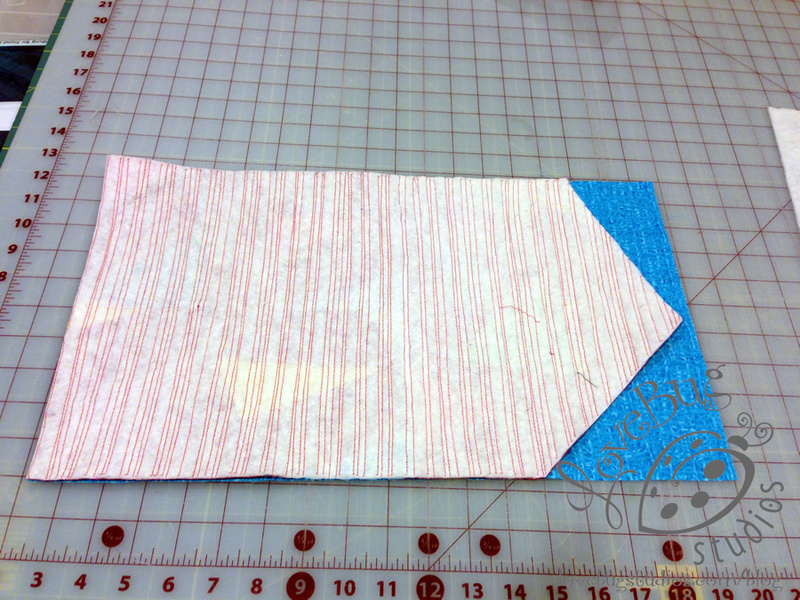 Because of the random angles in the piecing, I thought it appropriate to also have random angles for the flap closure. A little tip here when you are cutting off corners: make sure you aren't cutting more than 5" deep along the longest side so your pouch folds correctly. I have aligned one side of my ruler with the 45-degree angle, and you can see that I'll be cutting off about 5" of length on that side. Rotate the piece and cut another angle, this time a little shallower than the first. It's up to you whether you want your angles to meet in a point or if you want a straight section at the edge. 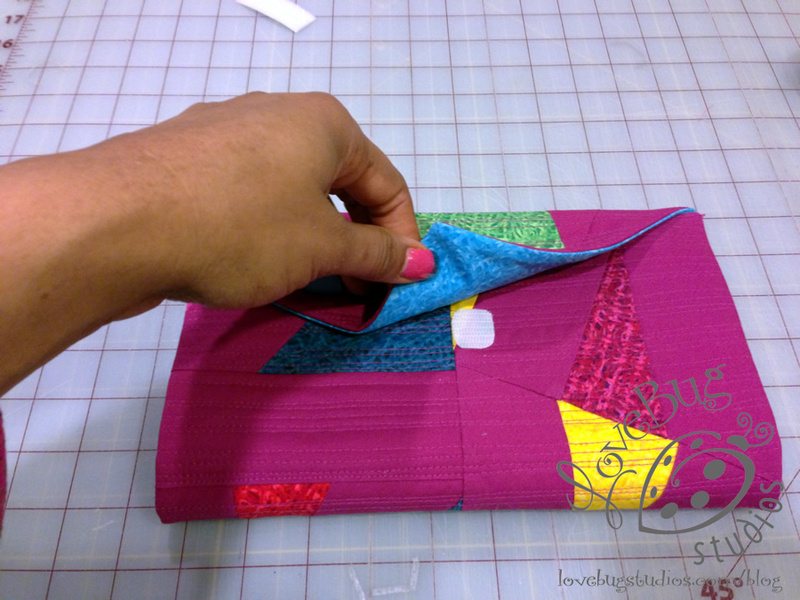 Layer your pouch right sides together with your lining piece. Cut the lining to match the angles on the exterior piece. 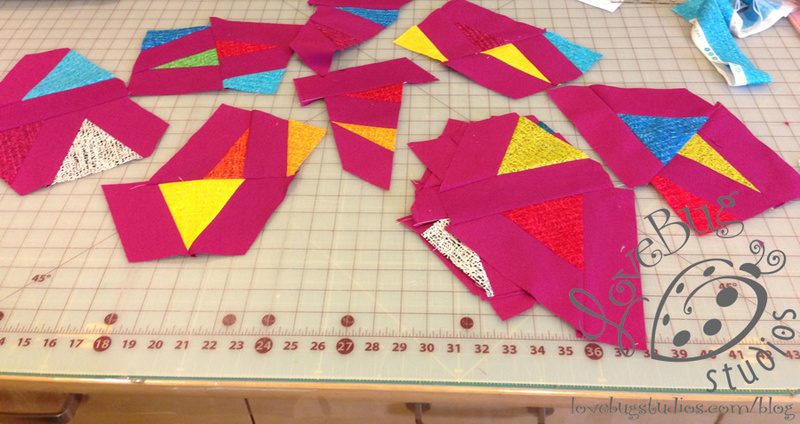 Pin the pieces together, leaving a few inches on the edge opposite your flap open for turning. I've marked the starting and stopping points with two pins. 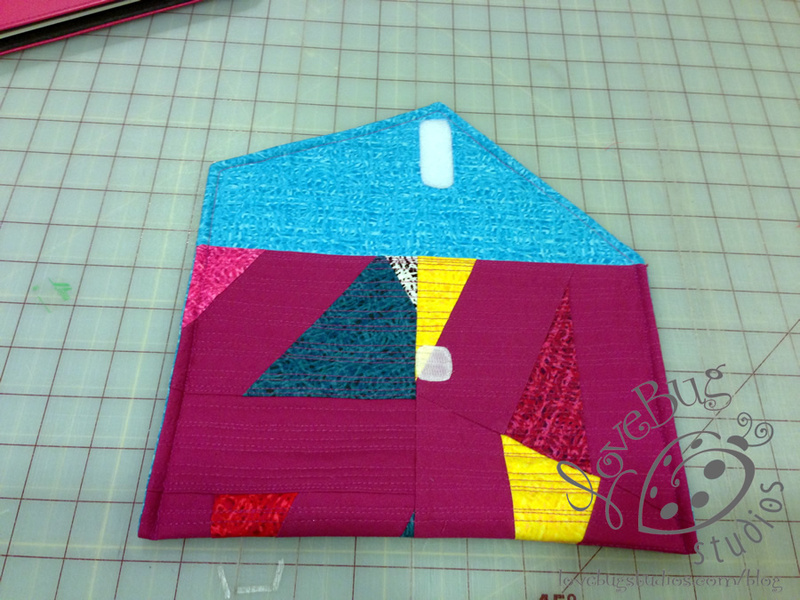 Use a 1/4" seam allowance and stitch around your pouch between the pins. 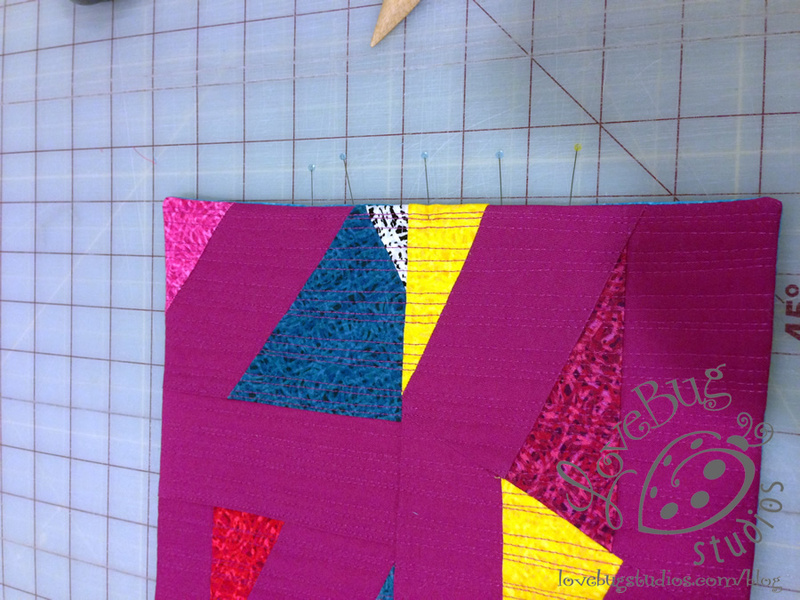 Backstitch at each corner to reinforce those areas. 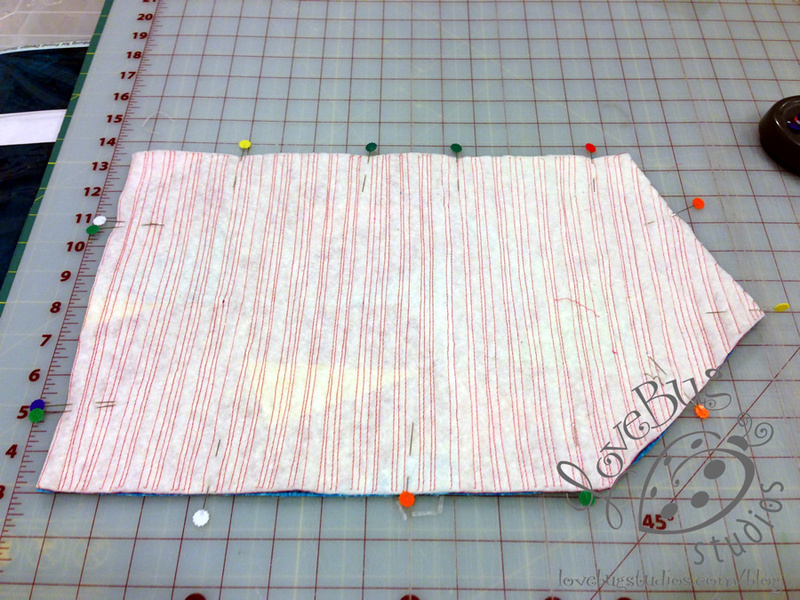 Cut away the seam allowances at each corner, close to your backstitches. This will allow us to get nicely squared & full corners when we turn our pouch right side out. Turn your pouch right side out, using a point turner to square the corners. Press the piece flat around all sides. Fold under the opening 1/4" and pin closed. Follow the manufacturer's instructions to fuse the hook tape to the outside of the pouch. (You can also secure the tape with stitching if that makes you feel better.) Fold up the pouch and pin the sides. Starting at the folded edge of the pouch, stitch approximately 1/4" from the sides around the entire edge of the pouch, backstitching in the corners and where the two pouch layers meet. Stitching 1/4" from the edge allows you to stitch through only 6 layers of fabric instead of 10, and adds a nice pop of color by exposing the lining along the sides. The last step is to position the loop closure on the inside flap. Leave the piece long, but round the edges before fusing it to the flap. This allows you to adjust the flap closure for the contents of the pouch. For example, if I wanted to carry my phone and my keys in the pouch, there's enough room in the flap to expand and still close with the hook side without seeing it. I like using hook and loop tape for the quick closures it makes, but it's not the most attractive to look at. That's all there is to it! This is such a great gift for the bibliophile in your life, or for yourself if you want to carry around bits of your favorite fabric with you everywhere you go. Now, if you're sad because you don't have any Extreme Colors of your own to work with, Benartex has a special prize for you. You can enter to win an awesome fat quarter pack of the entire line of Extreme Colors (that's 13 fat quarters!) by doing just two things. First, sign up to follow the Benartex blog (either by Google Friend Connect or email) - both options are in the right hand sidebar. 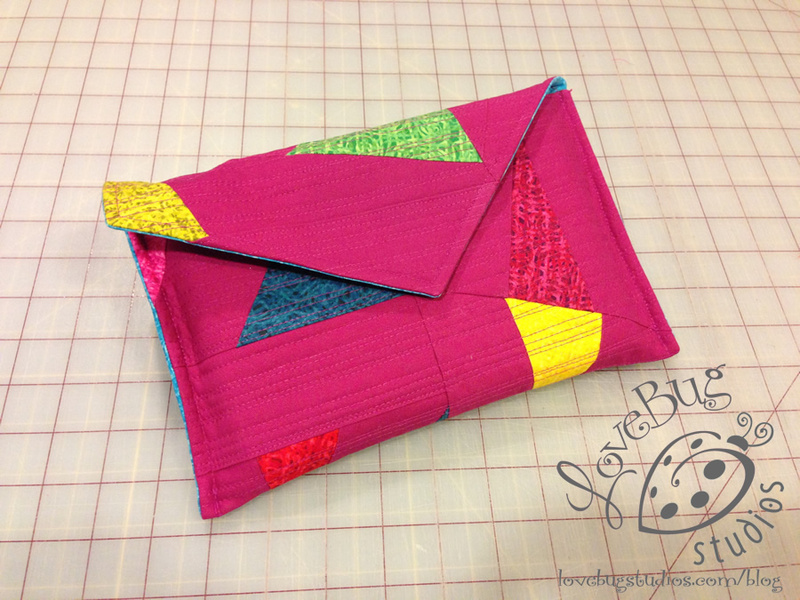 Then, pop over to the LoveBug Studios Blog and leave a comment on my blog hop post telling me what you would make with this fat quarter pack if you win. You need to do this by 11:59pm on May 31st in order to win, so good luck! I am following thru e-mails. I left a message on the LoveBug Studios Blog. I really enjoyed the tutorial very much and would love to make this e-book cover with the 4 quarter pack fabric for my niece. Maybe an early birthday present for her. Thank you for the chance to win. Nice tutorial for a fun project! I already subscribe--thanks! I am following with GFC. I left a comment on Ebony's blog about what I would make also. Oh how I love that fat quarter pack :) I had never read Ebony's blog....I am now a follower !! Her blog is great!!! Thanks for putting her out there Benartex. Great colors! That's definitely a "keep in stash for when you need the perfect blender" pack! Love the hops, Benartex! I already follow the Benartex blog via email and GFC. Nice tutorial.. looks to be a wonderful gift idea. Since these fabrics are in primary colors.. a child's quilt of course. I Signed up with Benartex. 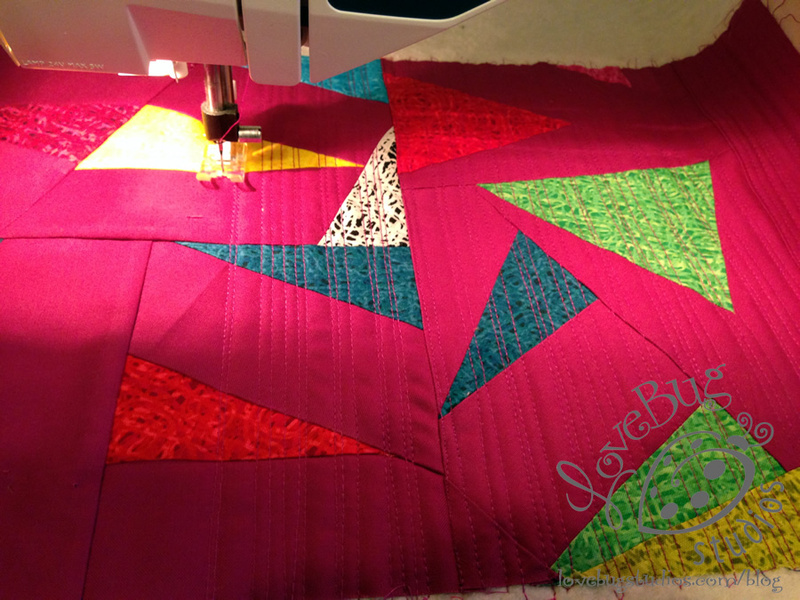 I love the bright colors, perfect for a wall hanging in my sewing room. Pretty nice case.Thanks for the tutorial.I follow via email and GFC. Love the colours!! 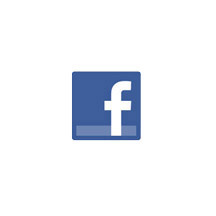 I am following via GFC - thanks!! I follow via blog lovin and I also posted a comment. I am a blog follower already. Great colors. I follow via email mountainquiltworks at gmail dot com. Such a great display of vibrant colors - lots of possibilities! I follow this blog by e-mail. I love your fabrics. The colors are so vibrant and I love color, the brighter the better. I am a follower and would love to win some fabric. Thanks for sharing. Beautiful fabrics! I signed up for the newsletter. I'm a follower of Benartex via email! subscribed to both and love the inspiration! 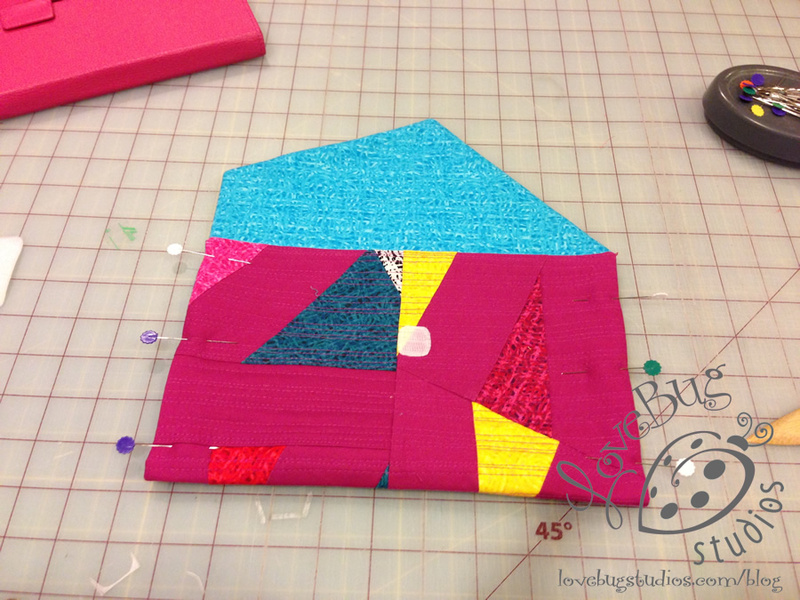 i'm a benartex blog follower ... love this blog hop! I love your blog and have been a member for at least a year. O always look forward to the blog hops because you get to meet new and creative people. 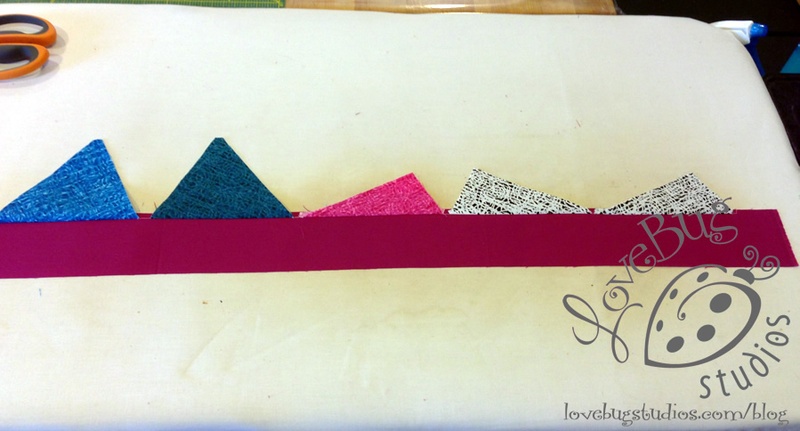 I follow Sew in Love With Fabric on GFC and Bloglovin.